Generally, film actors especially actresses face a tough time when they come into public. There are several instances where they are harassed as fans get too excited. We had seen such incidents many times in all the film industries across the country. And now, another actress joined the list. In a shocking incident, an irked fan hurled a footwear at Bahubali actress Tamannaah Bhatia. The incident took place at Himayathnagar, Hyderabad on Sunday when the actress came for a jewelry shop opening ceremony. He hurled the footwear when the actress was coming out of the store. Tamanna already grabbed attention as she was wearing Saree and she floated her pallu. Fans went crazy on seeing her. We always see fans in the crowds try to touch the celebrities inappropriately. 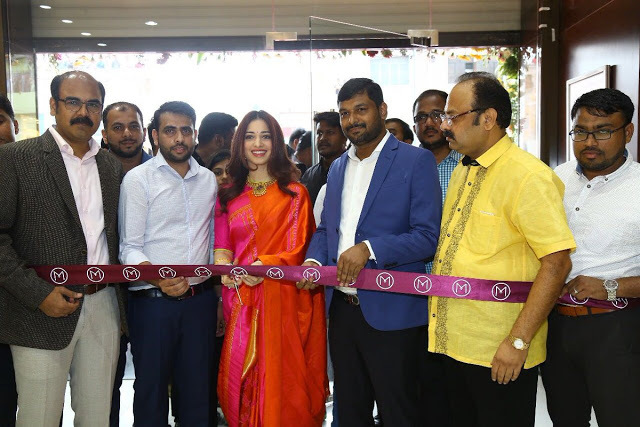 But, for Tamannaah who went to open the Malabar Jewellers showroom got a chappal from a fan. With this sudden attack, the security personnel, bouncers and shop management got alerted and shouted at the crowd. But they couldn’t identify who had done it. The bouncers, security people have searched for the person who doesn’t have a shoe and found the culprit. The man was identified as Karimullah, a B.Tech graduate and a resident of Musheerabad. Narayanaguda police station inspector B Ravindra said, “The footwear missed its target, while it hit an employee of the jewelry store.” The whole incident was caught on camera and the video is going viral on social media. According to police inspector B Ravinder, Karimullah had no intention of attacking the actress but was upset with the bouncers for stopping fans from meeting her. “Karimullah was immediately detained and during questioning revealed that he was apparently frustrated over the roles played by the actress in her recent movies,” the inspector said. Karimullah also justified his action as his displeasure about Tamanna not working in Telugu films as of late. His reason further shocked the police. However, following a complaint by the employee, who was hit by the footwear, the police registered a case under relevant IPC sections against Karimullah and have taken him into custody. The actress who made her debut long back became one of the Star heroines in the industry. Tamannaah Bhatia rose to fame following her roles in blockbusters “Baahubali: The Beginning” and “Baahubali 2: The Conclusion”. She has also acted in Telugu, Tamil and Hindi movies.